With extensive advances in technology and time that bestow us with a great deal of advantages, we often fail to take into consideration the side effects they entail. Degradation of environment is one such ordeal that requires massive attention. The Great Pacific Garbage Patch is a soupy collection of marine debris in the North Pacific Ocean which is one of the biggest threats to environment today. This marine debris is nothing but litter that ends up in oceans, mainly plastic. 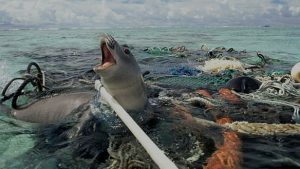 Also known as the Pacific Trash Vortex, is a huge concern to life below water as the dangerous trash is being consumed by animals like sea turtles and seals which poisons them. The microplastic debris not only directly kills sea life but due to the absorption of PCBs and DDTs also enters and poisons our own food supply. One can only imagine the aftermath. Let’s get real! Something has to be done about it. This issue was recently addressed by a 22 year old Dutch innovator Boyan Slat whose initiative to clean up the entire Pacific Trash Vortex first became viral after his TEDx Talk titled “How the oceans can clean themselves” in 2012. 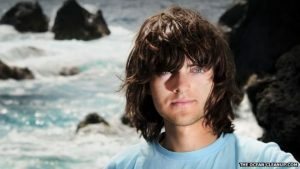 The talk explained his entire plan which is now famously known as “The Ocean Cleanup” and how he came up with this idea. Slat, in his talk, points out the fact that it is us who created this mess after inventing this material and there’s no way we cannot clean it up together. This was not only a brilliant invention but has also helped spread great awareness about the issue. AIESEC, supports the UN’s Sustainable Development Goal 14: ‘Life Below Water’ and together aims to sustainably manage and protect marine and coastal ecosystems from pollution and trash. We can all take steps towards building a cleaner environment, a non-hazardous ocean and supporting it is a huge start. All of us want a better world and you can help enable that by taking action. You can take an action by contributing to one of our SDG based social project initiated by AIESEC in alignment with various other organisations here: Life Below Water All of us in our youth may not be able to invent inspiring ideas like Slat, but we sure can get inspired and do greater things in support. Every baby step can turn into a giant stride as long as you have the willpower to bring a change. In Slat’s own words “Big problems require big solutions” and this definitely is one big step towards achieving it.